Direct from Sage—personalized, signed copy. For international orders, contact us using the form below. Download a preview of the book. Follow along with video of the short practices and enjoy Sage’s extensive library of classes to stream online at YogaVibes.com. Flexibility, balance, whole-body strength, recovery, range of motion, focus—a regular yoga practice brings many benefits to people who lead active lives. For athletes in particular, the dynamic stretching of athlete-friendly yoga poses and properly designed yoga exercises can counteract the tightness and imbalances that come from daily workouts. 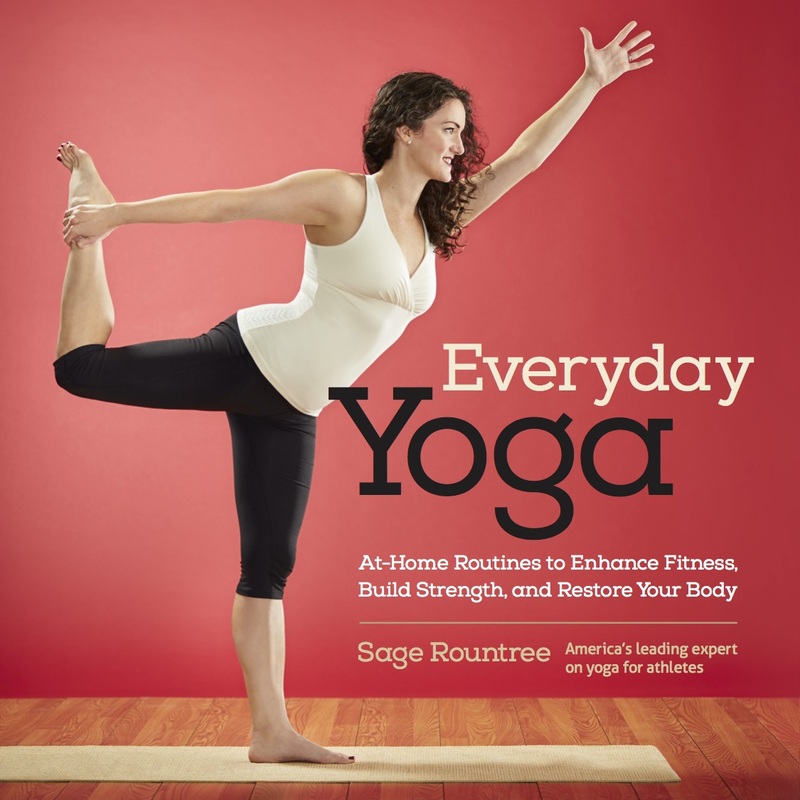 In Everyday Yoga, certified coach and registered yoga teacher Sage Rountree shares the yoga positions and exercises she has developed in her own yoga studio, at Kripalu, and working with active people during her popular yoga clinics around the country. She guides experienced yoga practitioners and yoga beginners on the best ways to design and develop their own at-home yoga routines. Each Everyday Yoga routine moves the spine in every direction and loosens tight hips in routines that can last from 5 to 50 minutes, leaving readers satisfied and relaxed. By sequencing several routines together, readers can build stronger, more flexible, injury-resistant bodies.